The National Bobwhite Conservation Initiative (NBCI) has launched a new, feature-packed website as the central hub for public information regarding the integrated 25-state effort to restore plummeting populations of the native northern bobwhite quail. While the original website had copious amounts of good information, the new site is more user-friendly, allowing easier access to basic bobwhite information, the conservation challenges found in key land use settings and NBCI’s strategies in confronting those challenges on regional and national levels. Notable additions include specific pages dedicated to forests and woodlands, grasslands/grazing lands, croplands and prescribed fire, as well as the introduction of new blogs by NBCI staff to highlight issues, opportunities and experiences in their fields of expertise. In addition to “From the Farmhouse to the White House” by NBCI Director Don McKenzie, “Shell’s Covert” blog by Virginia’s quail coordinator Marc Puckett and “MOQuail” by the Missouri Department of Conservation, NBCI Grasslands Coordinator Jef Hodges has launched the “Native Grass Gazette” blog. Hodges’ blog is designed to promote native vegetation, its wise management and role in our environment and society, as well as pass along news in the native grass/prescribed fire world. Upcoming blog additions will include “Beltway Bobwhites,” by NBCI’s Washington, D.C. agriculture liaison, Tom Franklin, and “Sunlight, Fire and Quail,” by NBCI Forestry Coordinator Steve Chapman. The Bobwhite Library also features a reorganized “Reference Room” for easier and more targeted browsing. Those interested in following the 25-state effort can easily register on the website for emailed updates of NBCI news releases, news items of note from around the nation and latest blog postings. The Eighth National Quail Symposium, expected to draw 200 quail experts, researchers, policy-makers and natural resource managers from state, federal and institutional entities from around the U.S., Canada, Latin America and Europe, is scheduled for July 24-29, 2017 in Knoxville, Tennessee. The scientific conference is convened every five years and is the world’s largest meeting of quail professionals. Quail 8, as it is known, will be the first time the symposium will be conducted in conjunction with the annual meeting of the National Bobwhite Technical Committee, the leading group of quail experts in the U.S. and the primary authors of the National Bobwhite Conservation Initiative, headquartered at the University of Tennessee. Hosted by UT and the Tennessee Wildlife Resources Agency, Quail 8 will feature the latest quail research findings, including plenary lectures, contributed presentations and peer-reviewed proceedings, and will feature on-the-ground results of bobwhite response to management. The call for papers will be issued in October with a deadline of Dec. 31, 2015. The Quail 8 editorial board will review abstracts and select those suitable for development and review as a full manuscript. 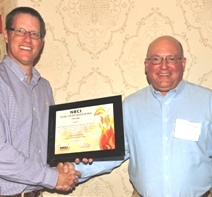 For more information on previous national quail symposia, please visit http://goo.gl/p3LLut. 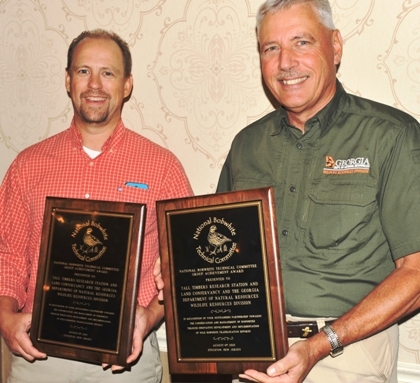 GALLOWAY, New Jersey — The Center for Native Grasslands Management (CNGM) at the University of Tennessee Institute of Agriculture took home one of two Awards for Group Achievement presented by the National Bobwhite Technical Committee (NBTC) during the group’s annual meeting here recently. The center, established in 2006 in Knoxville, Tennessee, provides technical and economic information to producers and land managers for establishing and managing native grasses on “working lands.” Replacement of a portion of exotic, cool season pasture grasses with native warm season grasses is a key objective of both the NBTC and the 25-state National Bobwhite Conservation Initiative (NBCI) in their efforts to restore wild bobwhites to the landscape while providing producers an economic buffer in times of drought. “Their work has emphasized forage production, biofuels and the integration of both, along with restoration of native grassland plant communities, oak savannas/woodlands and the wildlife conservation aspects of native grasslands management,” said NBTC’s Marc Puckett, awards committee chair. Puckett said the center also focuses on making information widely available through respective state Extension Service offices. “The sheer volume of exotic, cool season grasses in the East that could be converted to native warm-season grasses, and the likelihood that those grasses can be profitably managed for cattle in large blocks more conductive to grassland birds, provides hope that open spaces with suitable habitat required by grassland wildlife can continue to be a part of the landscape,” said Puckett. NBTC is the technical advisory group to the National Bobwhite Conservation Initiative, the habitat-based strategy of 25 state wildlife management agencies to elevate wild bobwhite restoration to regional and national levels. It meets annually to review progress and help identify opportunities and obstacles to bobwhite restoration. Headquartered at the University of Tennessee’s Institute of Agriculture, NBCI is an initiative of the National Bobwhite Technical Committee (NBTC) to elevate bobwhite quail recovery from an individual state-by-state proposition to a coordinated, range-wide leadership endeavor. The committee is comprised of representatives of 25 state wildlife agencies, various academic research institutions and private conservation organizations. Funds for NBCI are provided from a variety of sources, including the respective state wildlife agencies, the Wildlife Restoration Program and Park Cities Quail. 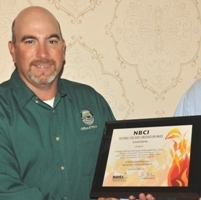 GALLOWAY, New Jersey — The contributions to wild bobwhite restoration by entities and/or individuals in six National Bobwhite Conservation Initiative (NBCI) member-states claimed NBCI National Fire Bird Conservation Awards during ceremonies at the annual meeting of the nation’s bobwhite experts here recently. Florida’s Upland Ecosystem Restoration Project (UERP) Steering Committee has provided the leadership in increasing the use of prescribed fire on the landscape and having over 110,000 acres of public lands managed for bobwhites. UERP is a cooperative partnership between the Florida Forest Service, Florida Park Service, Florida Fish and Wildlife Conservation Commission, U.S. Forest Service and Tall Timbers Research Station to improve populations of bobwhites and other declining species on public lands throughout Florida. Florida leads the nation in the application of prescribed fire, issuing over 100,000 burn authorizations allowing landowners and state and federal agencies to conduct prescribed burning on an average of 2 million acres each year. Most importantly, a large percentage of these acres are burned on a 1 – 3 year frequency in an effort to maximize the early successional habitat these species require, a primary objective of the UERP Steering Committee. 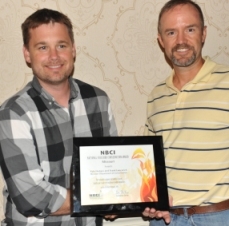 Lane Green, North Florida Prescribed Fire Council Steering Committee. Shaker Village of Pleasant Hill (SVPH) is one of the Kentucky Department of Fish and Wildlife Resources’ (KDFWR) strongest allies in bobwhite restoration. Beginning in 2009, SVPH began the transition from the cattle business into a wildlife habitat management role, specifically focusing on bobwhite. Fast-forward six years and with more than 1,000 acres of high quality bobwhite habitat on the ground, SVPH is now known locally, regionally and nationally as one of the largest quail restoration success stories in the country. KDFWR has used SVPH as a springboard to validate its 10-year quail restoration plan, “Road to Recovery.” The property has been a proving ground to demonstrate that habitat restoration truly is the answer to restoring wild bobwhite. Kentucky was one of a few states to pilot test the NBCI’s Coordinated Implementation Program (CIP) protocol. Prior to pilot testing, Shaker Village was the site for the first meetings to create the national CIP and was recently home to the first ever CIP training attracting representatives for 14 states to learn about the new protocol. In past years, hunting was not allowed on SVPH property. Today, quail, deer, and other small game hunters are regularly seen on the property, with all proceeds from the hunts going directly to manage and maintain the SVPH habitats. Sandy Hollow Wildlife Management Area is the state’s only WMA dedicated to bobwhites. Winslow and his colleagues with the Louisiana Department of Wildlife and Fisheries’ burn team assess habitat response and burn needs annually, then conduct prescribed burns using small patch burning at a rate of 2,000 acres annually — with plans to increase burn acres in future years. Bobwhite numbers observed in annual summer whistle counts have trended upward since the early 2000’s in response to these efforts, and under Christian’s leadership other quail friendly practices are also increasing, including fallow disking, wildlife plantings, and timber harvests. The Sandy Hollow team created and maintains some of the highest quality bobwhite habitat in the state. Sandy Hollow burn team staff includes Tommy Bruhl, Jill Day, Calvin Waskom, Wade Fitzsimmons, Jake Tate, and Jason Childress. 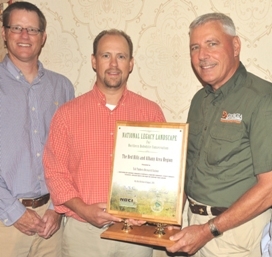 As Missouri Department of Conservation public land managers with responsibility for a combined 26,000 acres in southwest Missouri, Hedges and Loncarich have demonstrated convincingly that bobwhites can be a part of a native grassland management program built upon grazing and prescribed fire. While these tools are commonly applied for bobwhite management in range country, they have often been approached with hesitation and skepticism in the Midwest, where public – and often agency – perception is that grazing is inherently bad for natural resources. Their work has clearly shown that these powerful management tools can be applied in Midwestern landscapes with positive results for grassland flora and fauna. The pair also recently proposed and earned approval for a long-term study of the effects of different native-forages grazing management styles on bobwhite breeding ecology. Now midway through the study, this project shows promise to fundamentally change MDC’s approach to quail management on many public lands. 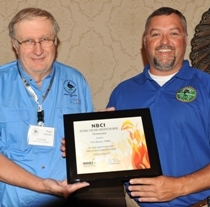 Tennessee quail coordinator Roger Applegate, left, presents the NBCI National Fire Bird Conservation Award to Clint Borum. As a biologist for Tennessee’s Landowner Incentive Program (LIP), Borum has integrated bobwhite quail habitat into most of the private lands contracts that he has managed, and he has emerged as one of best “bobwhite arsonists” in the state. Borum averages 12 prescribed burns per year to improve bobwhite habitats, and handles many technical assistance calls from landowners annually. He also has identified how to successfully integrate quail habitat into management plans for landowners whose primary interests are often deer and turkey. Retired from the US Department of Agriculture Natural Resources Conservation Service (NRCS) after years as a plant materials specialist, ecologist, natural resource planner and manager of the National Farm and Ranchland Protection Program, Robert “Bob” Glennon has contributed his expertise to the Virginia Department of Game and Inland Fisheries’ Quail Team for more than four years. His emphasis is on outreach and he routinely attends and displays posters oriented toward quail recovery at multiple conservation events annually. He is a routine contributor to the state’s Virginia Bobwhite Bulletin page on Facebook and has spent innumerable hours mentoring the team’s young biologists, helping them develop a superior knowledge of plants and herbicides, and the role they each play in quail management. GALLOWAY, New Jersey — Decades, and in one case a century, of good land stewardship and aggressive bobwhite management and research across millions of acres on opposite ends of the bobwhite range were recognized here recently as the 34-million-acre Rolling Plains of northwest Texas and western Oklahoma and the 700,000-acre Red Hills/Albany region of north Florida and southwest Georgia were each declared a Legacy Landscape for Bobwhite Conservation. 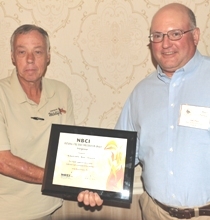 The National Bobwhite Conservation Initiative (NBCI) and its technical advisory body, the National Bobwhite Technical Committee (NBTC), announced the designations during the annual meeting of the nation’s bobwhite experts. Accepting the Legacy Landscape designation for the Rolling Plains region were Robert Perez of the Texas Parks & Wildlife Commission and Kyle Johnson of the Oklahoma Department of Wildlife Conservation. NBCI Director Don McKenzie is at right. Primary criteria for the Legacy Landscape designation includes an extensive area of ecologically “contiguous” habitat that has for decades or longer supported high densities of wild northern bobwhites, a long-term tradition of purposefully implementing or maintaining land use practices that support bobwhite habitat conservation, and landowners, hunters and other stakeholders who have demonstrated strong support for quail hunting, management and/or quail research over multiple decades. The Rolling Plains region is generally described as the area about 100 miles either side of a line from Sweetwater, TX to Sweetwater, OK. This ecoregion’s landscape holds large sections of contiguous habitat that have long supported significant bobwhite populations, and landowners have implemented purposeful bobwhite habitat management for decades. About 60% of the Rolling Plains is rangeland and 30% is cropland. The major land uses are ranching (beef cattle) and farming (mostly dryland wheat and cotton). A strong and growing research network of several institutions has also become established in the last eight years. 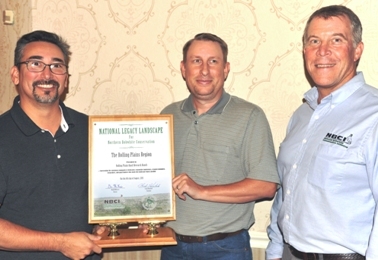 Greg Hagan of the Florida Fish & Wildlife Conservation Commission, (left to right) Dr. Theron M. Terhune of Tall Timbers Research Station and Reggie Thackston of the Georgia Department of Natural Resources accepted the Legacy Landscape designation for the Albany/Red Hills region. The Red Hills portion of the Albany/Red Hills region lies between the Aucilla and Ochlocknee rivers from Thomasville to the Cody Escarpment in Florida, while the Albany portion is located on the Dougherty Plain in southwest Georgia. This region is a unique, diverse landscape of expansive pine savanna harboring the largest bobwhite population in the southeastern U.S., with populations sustained at high densities across a contiguous managed landscape. More than 700,000 acres are managed across more than 200 properties (ranging from 300-20,000 acres) using frequent prescribed fire to mimic and restore the natural fire history. This is the only region in the Southeast that has consistently applied prescribed fire to the land in natural frequency for over 100 years and it is home to the best quality remnants of old-growth longleaf pine forests. 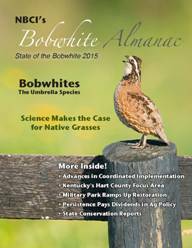 Additionally, the region has nearly a century of bobwhite research which continues today. 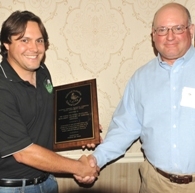 GALLOWAY, New Jersey — The development of an innovative transplantation or relocation policy for wild bobwhites by Tall Timbers Research Station and Land Conservancy (TTRS) and the Wildlife Resources Division of the Georgia Department of Natural Resources garnered an Award for Group Achievement from the National Bobwhite Technical Committee (NBTC) at its annual meeting here recently. The entities were cited for “exemplifying collaborative efforts and thinking outside the box” in developing the ability – and process – for relocating wild bobwhites. This process is being viewed as a viable method in assisting areas or even states where wild birds have disappeared to jumpstart population recovery if there is sufficient quantity and quality of habitat. GALLOWAY, New Jersey — John J. Morgan, small game program manager for the Kentucky Department of Fish & Wildlife Resources, took home the National Bobwhite Technical Committee’s (NBTC) Award for Individual Achievement at ceremonies at the NBTC annual meeting here recently. 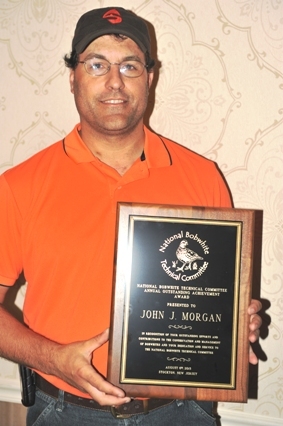 Described in the nomination as “a true leader in this field of quail conservation,” Morgan has not only led efforts to restore wild quail on Kentucky’s landscape but also has been instrumental in national bobwhite recovery efforts as well. 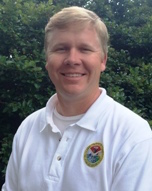 Morgan has served for years on the group’s research subcommittee, is current secretary/treasurer and incoming chair (2016) of the NBTC, has played a pivotal role in the development of the Coordinated Implementation Program (CIP) for the National Bobwhite Conservation Initiative (NBCI), and recently led his state in hosting a CIP habitat assessment training program for biologists from 14 other states. A 10-year veteran of KDFWR, Morgan also helps coordinate private land habitat management activities in Kentucky. He has over 15 years of professional experience in Pennsylvania, Georgia, Florida, and Kentucky and is a certified wildlife biologist. He earned his undergraduate degree at Penn State and his Master’s at the University of Georgia. “…now is the time for federal actions to prevent future ‘listing anxiety’,” wrote John Tomke, council chairman. “Your departments have the opportunity to ensure the restoration of habitat for bobwhite quail, other declining grassland birds and pollinators on private croplands, rangelands and forest lands. In addition, many National Forests, National Parks, National Battlefields, Military Parks and National Wildlife Refuges are ideal places …” “The council is spot-on when they say these federal agencies can have a huge impact on populations of bobwhites, other grassland birds and pollinators on both private and public lands,” said NBCI Director Don McKenzie. “We appreciate the council’s support and would welcome proactive participation by both the Interior and Agriculture departments.” Headquartered at the University of Tennessee Institute of Agriculture’s Department of Forestry, Wildlife and Fisheries, NBCI is an initiative of the National Bobwhite Technical Committee (NBTC) to elevate bobwhite quail recovery from an individual state-by-state proposition to a coordinated, range-wide leadership endeavor. The committee is comprised of representatives of 25 state wildlife agencies, various academic research institutions and private conservation organizations. Support for NBCI is provided by the Federal Aid in Wildlife Restoration Program, state wildlife agencies, the University of Tennessee and Park Cities Quail. For more information, please visit www.bringbackbobwhites.org and find us on Facebook, YouTube and Slideshare.